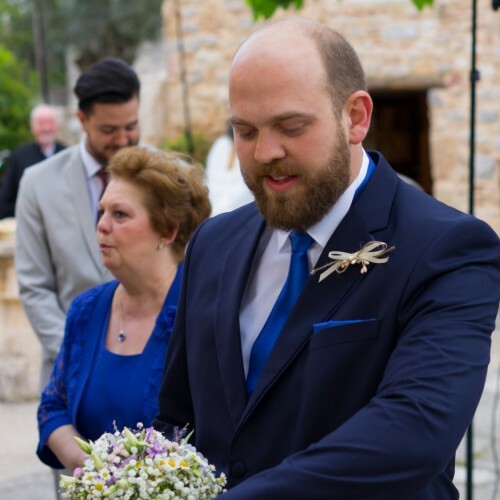 When our phone rang and we heard for the first time what Tonia wanted us to design for her, panic was the word that can describe our feelings the best. 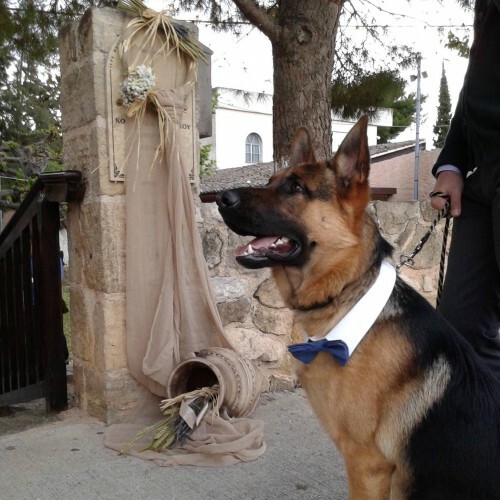 Our lovely customer was getting married in less than 14 days and our mission was to create a special tuxedo-collar for her best man, Rigas, a young furry and quiet a hank German shepherd dog. 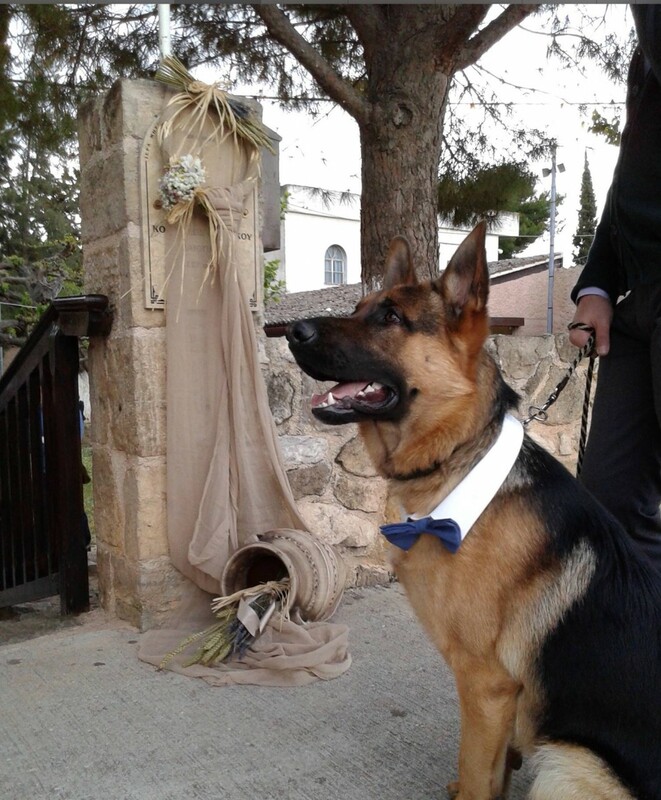 Not only we managed to create a dapper tuxedo-bowtie collar for the man of our hearts but also Rigas is the inspiration behind our newly designed bridal collection which will be launched in the next few weeks. 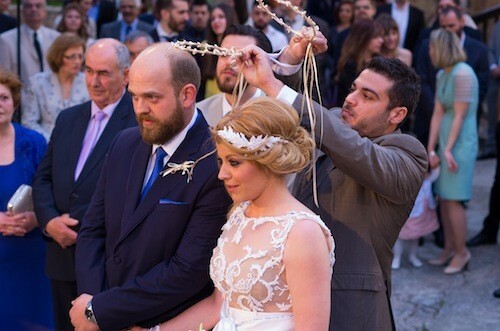 Enjoy our lovely couple and their best man wearing his brand new Ohhhmydog tuxedo and Ohhhmydog rope/leather leash, ready to begin their common journey! Thank you guys, we love you..